Platinum Link & Rope bracelet. This Platinum bracelet measures 7mm wide by 2.3mm thick. 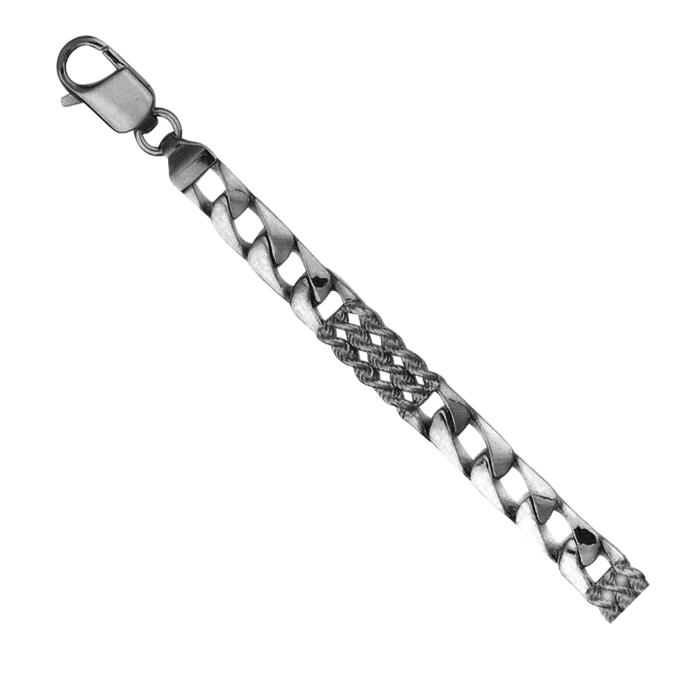 Features alternating links and rope design. Price shown is for the suggested 8 1/2 inch length Email for additional pricing on your special length.